Buy now! 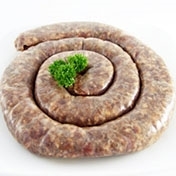 5 x 1lb packs of Bledie Lekker Peri-peri boerewors for something a little spicy in your life (approx. 2.25kg).